Maybe it's time you consider showing up at BC Liberal fundraising events – BC Premier Christy Clark does, and it's helped her top up her regular salary by over $300,000 since 2011! Have trouble making ends meet? Mortgages to pay down? Student loans to pay off? If so, maybe it’s time you consider showing up at BC Liberal fundraising events – BC Premier Christy Clark does, and it’s helped her top up her regular salary by over $300,000 since 2011! As the Globe and Mail reported last week, Clark currently receives an extra $50,000 each year for work that includes going to BC Liberal fundraising events. That “stipend” is in addition to her nearly $200,000 annual Premier’s salary, plus all those private jet flights and $3,000 oyster dinners covered by her taxpayer-funded expense account. Some say that’s a conflict of interest, especially when many of her biggest donors also happen to have a stake in her government’s policy decisions. 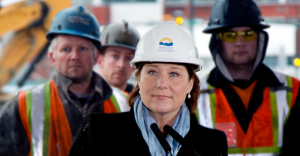 According to the BC Liberals, Clark has received $301,900 from the party since becoming leader in 2011 – $67,000 in 2011 ($42,000 plus $25,000 before becoming an MLA), $44,900 in 2012, $45,000 in 2013 and 2014 and $50,000 in 2015 and 2016. Although the average worker in BC earns $46,900 per year, maybe it’s time people working in the following jobs think about how they can get a salary top up from the BC Liberals too? If you think standing on your feet for hours and hours catering a BC Liberal fundraising event is hard, try washing down a rubber chicken with a glass of room temperature chardonnay! Hard work! In 2012, Clark made $44,900 attending BC Liberal fundraisers – that’s $19,807 more than the average pay of someone working an accommodation and food services job that same year. Nothing fishy about this, right? Although some commercial fishing jobs netted $40,000 per season in 2013 – catching things that may very well have ended up on an hors d’oeuvres tray at a BC Liberal fundraising event – Clark’s salary was topped up by $45,000 for helping reel in cheques from big fish corporate donors. Sure, BC’s long-term care homes for seniors are understaffed and nurses are overworked. But by attending things like golf tournaments with corporate donors in 2014, Clark topped up her salary a little over $12,000 more than the average nurse working in residential care earned that year. Is raising money for the BC Liberals a more important job than raising the next generation of BC leaders? Apparently! If the starting salary of a teacher in Vancouver is anything to go by, Clark’s fundraising activities in 2015 seems to have been about $5,000 more important too! At $10.45 per hour, BC now has the lowest minimum wage in Canada. With one-in-five children in the province living in poverty and many in the province struggling to afford housing, you can work 40 hours per week year-round and only earn $21,736. But since Clark has ruled out raising the minimum wage to $15, maybe they should just get a second job like their Premier? Because, hey: why raise the minimum wage when you can raise money for the BC Liberals instead? Photo: bcgovphotos. Used under Creative Commons license. A member of the Board of Directors of Alberta's Progressive Conservatives has levelled a bizarre accusation against Earls Restaurants. 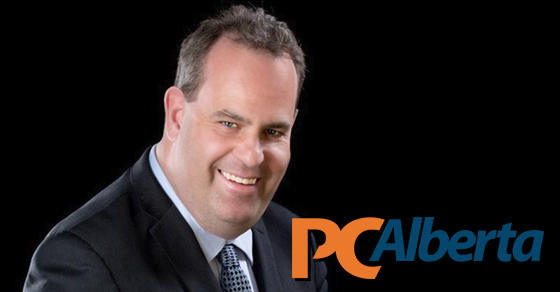 A member of the Board of Directors of Alberta’s Progressive Conservatives has levelled a bizarre accusation against Earls restaurants, an “upscale casual dining” chain based in Vancouver.